A stunning Unit with a private deck. Summer rates varies, call for rates. Minimum age requirement to rent, family rental. Please note, there is a minimum of a 3 night stay doing prime season. All inquiries must provide a phone number, I will contact all replies back via phone. We rent F-M, M-F, F-F, M-M. Condo is also listed with our realtor. Off season days are flexible. An email and phone number is requested with all inquires please. No graduates. We do not rent to young groups its a family rental. The Unit is located on 11th Street, it is approximately 1800 sq with 3 beautifully decorated bedrooms. The master bedroom and living both have a lovely view of the bay, the master bedroom has a 37 inch HDTV, two closets, king size bed with a large master bath. Enjoy the jetted tub and the large spacious shower stall, along with a large slider to the deck. 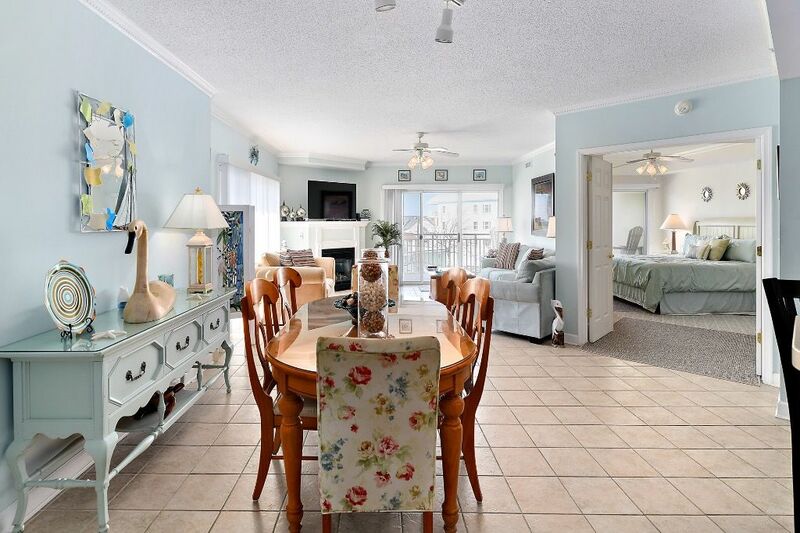 The other two large bedrooms each have a view of the ocean, HDTVs, queen beds and large closets. Off the hallway enjoy the other large full bath, no waiting. The unit also has a large laundry room, and an outdoor storage unit for your beach gear and pier. The kitchen is spectacular, large, lots of counter space, a bar area with 4 bar stools, stainless steel appliances with a large dining room table. The living room has two sliders one of which has a balcony with great bay views and a queen sleeper sofa bed. Enjoy the gas fireplace while watching your 60 inch 4K Ultra HDTV along with a DVD player. The unit is handicap friendly with wide doorways, hall, and an open floor plan. If you dislike driving to the beach, boardwalk, restaurants, etc. then this is the place for you. You can park your car and walk to everything. If you don’t like the beach, then enjoy our pool and pier. This is a no pet no smoking unit. All your linens are provided (Linens/Towels shall be washed and beds made before the late 12:00 checkout. Info in the contract. 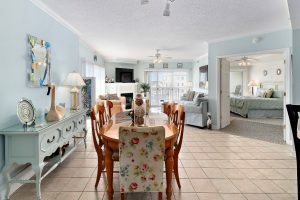 Note this unit is near the White Marlin pier, tennis and basketball courts, boardwalk, golfing and the casino. RESERVATION DEPOSIT/SECURITY DEPOSIT $350. All other fees included. Contact Us Today To Rent Your Ocean City Maryland Condo.